The housing market will soon start to heat up alongside summer temperatures, and if you’re considering selling, it’s important to make sure that key areas of your home are ready to shine. The kitchen remains a make-or-break point for many homebuyers, but even if your current setup isn’t feeling “Top Chef” worthy, there are plenty of simple changes that can take a potential homebuyer from saying “Yikes!” to saying “Yes!”. One of the easiest (and most cost-effective!) ways to create the feeling of an updated kitchen is by adding a new coat of paint in a neutral color. When it comes to the kitchen color palette, think clean, light, and bright! Don’t shy away from whites and other light hues. In addition to creating a fresh look in the kitchen, a light-neutral such as an off-white or light gray creates a blank canvas for potential buyers to easily infuse their own style after the keys are handed over. 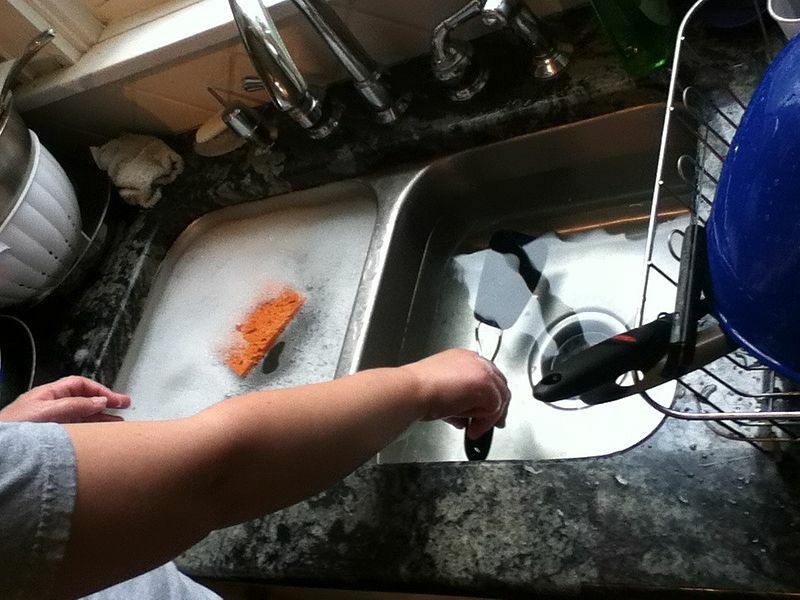 It goes without saying but is definitely worth repeating: When it comes to the kitchen, expect to spend some quality time with cleaning supplies. 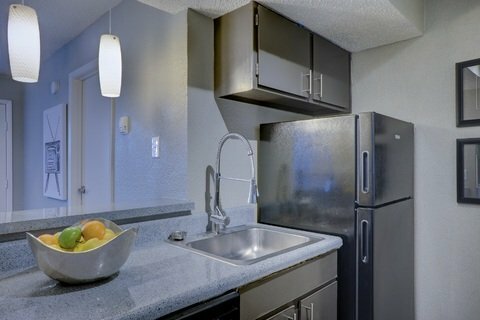 Cabinets should be de-greased, countertops should sparkle, and stainless steel appliances should be polished to perfection. The good news is that you don’t need to spend a small fortune on expensive cleaning products. There are plenty of natural and DIY recipes for effective and non-toxic degreasers and cleaners that will keep your kitchen looking tidy and always ready for home tours. A perfectly staged kitchen may require giving up cooking for a while, but the result of having less countertop clutter more than makes up for the inconvenience. 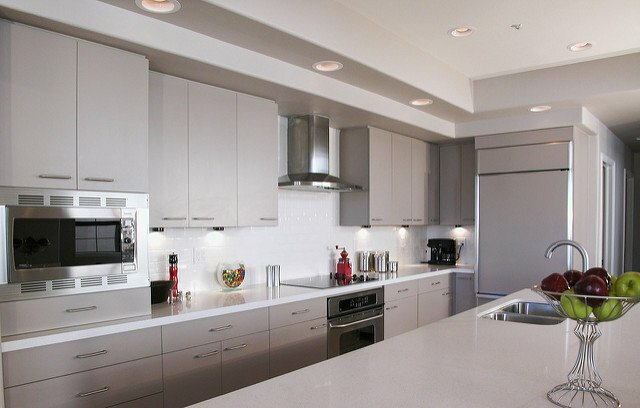 Remove microwaves, coffee makers, and other appliances from the counter to create the feeling of a clean, open space. If you have exposed shelving, remove excess items that could create a distraction and instead focus on styling a few key pieces. Something as simple as clean white dishware looks gorgeous when artfully stacked on open shelving! 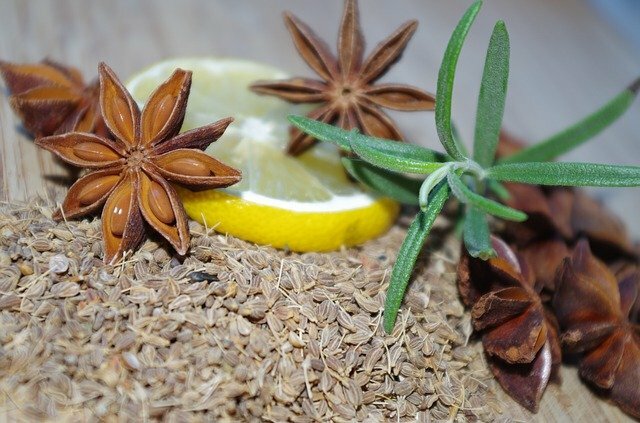 Depending on the season of the sale, creating a signature scent for the kitchen can be one of the most fun and creative ways to trigger a positive response in potential buyers. For a springtime open house, focus on fresh, clean scents such as lemon and rosemary. As the weather turns cooler, try creating a comforting elixir of clove, cinnamon, and pine to greet potential buyers as they enter the room. Experienced DIY-ers know it’s easy to update or add a backsplash to the kitchen over the course of a weekend, but even a tile-novice can easily tackle this project with a bit of research. An affordable way to elevate a kitchen’s appearance without breaking the bank, white subway tile and even stainless steel tiles continue to be on-trend and can easily give a kitchen a finished look. Regardless of the tile style and pattern that you choose, always make sure it’s a compliment to the room rather than a focal point. Avoid super bold colors, complex patterns, or anything that could be considered too “niche” or “themed” for the average home shopper, such as riverrock or reclaimed wood. Unless the kitchen has undergone a remodel in the last five years, chances are the cabinet pulls and knobs are begging for an upgrade. Even the smallest of changes to cabinets can give a kitchen an instant facelift on a tight budget. “Mushroom knobs” are a common fixture in many kitchens but often make cabinets look dated and tired. Try replacing with an upgraded silhouette, such as a bar-knob, for a shape that’s simultaneously on-trend while still looking elegant. Adding extra light to a kitchen is a simple way to make small spaces feel larger and make anyone feel right at home. 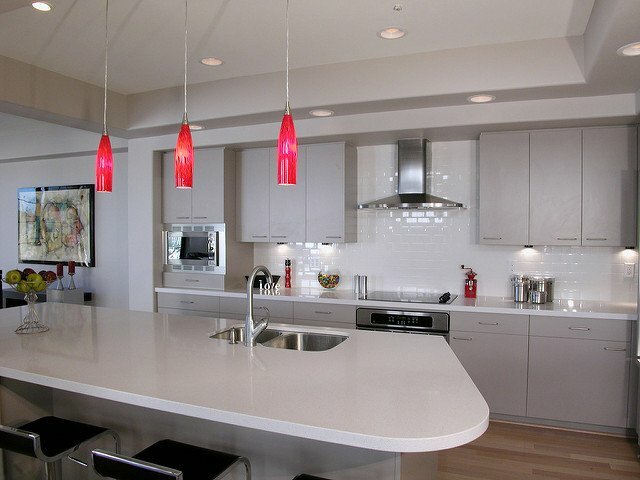 Something as easy as adding under-cabinet lighting can create a high-end feel, while replacing recessed lighting with pendant lights over a bar or kitchen island also gives the room a more expensive look and feel. While there are plenty of online tutorials and converter kits that can make electrical wiring a DIY project, always hire a professional electrician for any extensive installations! In kitchens where counter space is at a premium, consider adding a simple kitchen cart or a DIY kitchen island to create extra elbow room. Adding barstools to the kitchen island will further enhance the functionality of the room, creating both a kitchen and extra eating space in one simple step. While preparing for an open house can be daunting, there’s no reason to panic. 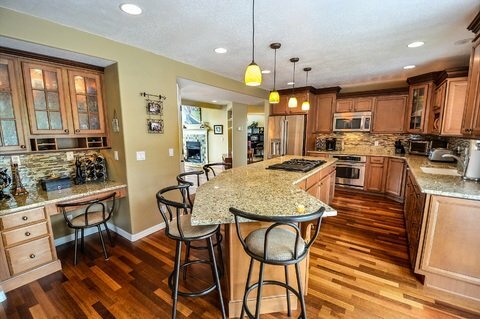 With a little elbow grease and preparation, a thoughtfully staged kitchen can play a huge role in making sure your home gets sold quickly and for the best possible price. Cannot disagree here. Less than tidy looking kitchens turn smiles into frowns with buyers, and first impressions are lasting ones. Door pulls, counters, builtins, ranges, refrigerators, dishwashers, and dated trash compactors become fair game in buyers eyes. Sellers here your REALTOR®, and update whenever possible. Don’t make the buyer think; instead, make them feel like they found the gem.